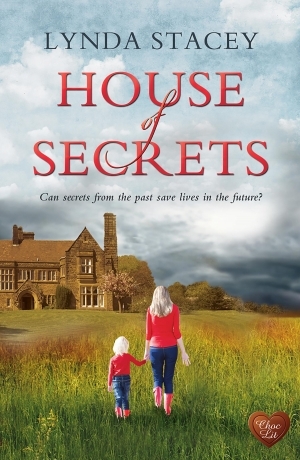 Lynda Stacey Talks About Her Debut Novel, House Of Secrets. Last weekend I was at the RNA Conference in Lancaster, where I met several writers whom I have known for some time through Twitter and email, even through NaNoWriMo, but whom I had never met in person. It was such a pleasure to meet Julie Stock, Kate Field, Jan Baynham, Elaina James and Sue McDonagh. I also met Lynda Stacey, whose debut novel, House of Secrets, is published by Cloc Lit on July 19th, and who joins me here today to talk about her writing. Lynda, welcome! Thank you for joining me. You told me that having your book appear in print is something you have been dreaming about since you were 14. When did you start writing and what did you write when you were young? I vividly remember asking my parents for a Lilliput typewriter for my birthday. I told them that one day I was going to write a novel and that they'd be really pleased when I did. The first thing I ever wrote was a time-slip story about a girl going back to Stonehenge, unravelling the mysteries that had surrounded it for years. But, while she were there, she'd made friends with a puppy and at the end of the book, she came back through the portal and brought the puppy with her. I find the whole concept of this book now hilarious, but I was only 14 and puppies were the only thing I was likely to fall in love with at the time. So, fast forwarding a few years, how did you hook up with Choc Lit? I went to the RNA (Romantic Novelist Association) conference in 2014. While I was there, I had a 1:1 with Lyn Vernham the director of Choc Lit. We seemed to get along very well, shared a love of Audi TT's and she invited me to send in a full manuscript of the novel I'd been working on, which had a working title of Broken Jigsaw. Choc Lit looked at this title, but didn't take it at the time, but did say that they'd like to see anything else that I wrote. So, once I'd completed House of Secrets, I entered it into their Search for a Star competition and the rest, as they say, is history. In your professional life, you have had a variety of jobs. Did this bombard you with writing ideas? In this industry, you are always told to write what you know. My working life and various jobs have certainly given me a lot of idea's for world building around my characters. Have you always been a writer alongside whatever job you had at the time? How does writing fit into your day? Is it your dream to be a full-time writer? I've always written a little, it's something I've done since being a teenager. Writing isn't selective on time, you can do it whenever you like and I fit it in when I can. You see, I've always had to work, more often than not I've worked two jobs at once, and now that I don't have to do that anymore, I find it really difficult to sit and do nothing, I can't just sit and watch television, I lose concentration easily and begin fidgeting or messing with my phone. So now, after work, I sit with my lap top on my knee and write. And yes, I'd love to write full time, but I have a mortgage to pay and I really like to eat, so I doubt it will happen any time soon. Your personal life has been challenging, to say the least. Is your writing something that you have at times turned to for solace or stability? To say that I had a disruptive childhood, followed by a disruptive first marriage, would probably be an understatement. I've always escaped into my writing. I enjoy the solitude of shutting myself away, and if I didn't have to work, I'd have no issue with becoming a hermit. The characters come to life for me and I love jumping into their world, and 'yes' sometimes I do it to escape reality. Have your experiences made it important to you to give your characters certain traits that will enable them to face their own difficulties? I like my characters to have issues, troubles and past lives that they are dealing with. This is normal in real life. No one gets to be in their twenties without one or two things happening in their past and I don't want my characters to be any different. However, I do like my hero's and heroines to have strong personalities, I like them to find ways to overcome their difficulties and fight for what's right. And finally, do you mind sharing a special moment from your journey to publication? My special moments are the fact that over the past three years, I got to meet, socialise and spend time with some of the most amazing authors that this country has, not only that, I now get to call them my friends. I'd call that pretty special. Thanks for a great interview, Susanna. 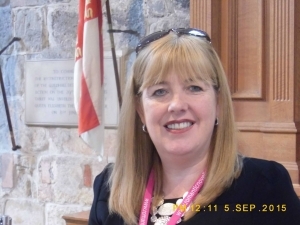 Good luck to Lynda too. I must read her book and visit that magical hotel! Always lovely to hear about other writers' successes. Thank you for a lovely interview. Thanks for dropping by, Jen. Yes, I completely agree with you - Choc Lit covers are always beautiful. Berni Stevens designs many of them and she is so talented. Thanks for sending your good wishes to Lynda - I'm sure she'll be delighted. Congratulations on your debut release, Lynda. Choc Lit covers are always stunning and yours is no exception. I enjoyed this interview and your comment about writing as an 'escape' resonated with me. Your book sounds fab, and I wish you many sales and a long and happy writing career.